Ok, you’ll probably agree with me when I say: Making money from blogging is awesome. But whether blogging is your hobby or your full-time job, when it actually comes down to it, are you really maximizing the money you could be making from your blog? Or maybe you haven’t started a blog yet and are wondering if it can be profitable. Well, the answer is yes! And in this post, I’m going to share 12 of the best ways to make money with a blog. As long as you have a little bit of traffic, you can use these techniques to start bringing in some money from your WordPress blog. Those are just a few different types of blog you could start, if you have a different type of content or your blog is allready up and running then this post is for you, read on to find out the ways to make money blogging! AdSense is a program from Google that helps you easily place Google ads on your website. The ads are targeted towards your content and your visitors’ browsing history to make them relevant (and not annoying!). AdSense is a good catch-all program. Any type of site can use it to instantly monetize and start bringing in some money. There are also some WordPress plugins which make it very easy to add AdSense to your blog. 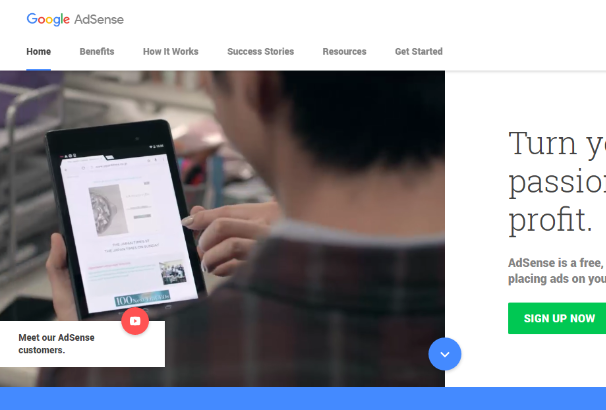 The official Google AdSense plugin is a great place to start. After you’ve installed it and set up AdSense, it’s pretty much entirely passive income. You’ll start bringing in cash with no maintenance. How much AdSense pays depends on the topic and number of clicks. You’ll get a small amount just for impressions, but the real money is when users click on your ads. You can earn anywhere from a few cents up to dollars per click. If you’re in a lucrative niche, clicks can bring in lots of money. 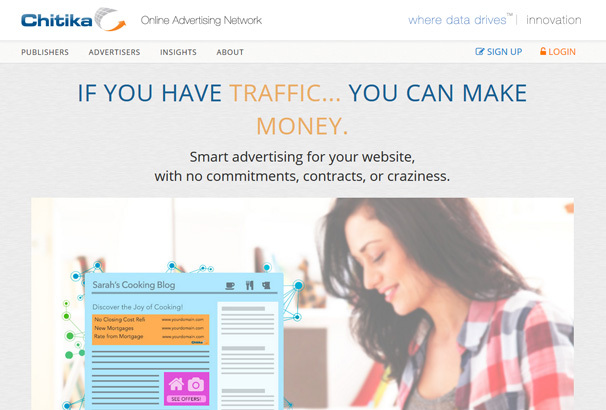 For other niches, you can still make good money if you have sufficient traffic. AdSense is the most popular way to make money from PPC, but it’s far from the only option. There are a number of other providers you can work with to easily earn money from clicks. Chitika is one option. Like AdSense, it adds contextual advertising to your blog. It’s simple to implement on WordPress blogs thanks to the Easy Chitika plugin. Another option is Adversal, who will help you manage your ad space to always keep it sold. 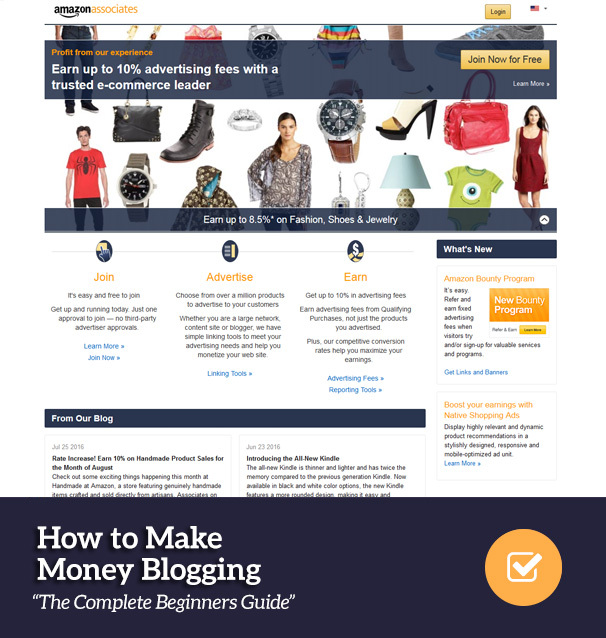 Affiliate marketing is another hugely popular option for monetizing a blog. You place a link to a store on your website. When one of your readers clicks that link, you get credit for anything they buy. Depending on the agreement, this can be a percentage of the sale or a flat-rate per sale. Amazon is one of the most popular affiliate programs. When you link to them, you’ll get a cut of anything people buy. Given how many people shop on Amazon, it’s a very easy way to bring in money. You also get credit for whatever they buy. So even if you link to a pair of socks, if that same person ends up buying a huge flat screen TV, you’ll still get credit. Affiliate marketing doesn’t just involve Amazon, though, lots of smaller stores and services offer affiliate programs. You can sign up for an affiliate network like ShareASale or CJ Affiliate to get instant access to lots of affiliate offers. Hosting companies also offer excellent affiliate payouts. Sometimes close to $100 per signup. If you have an audience interested in websites, promoting some hosting companies is a great way to monetize. There are lots of WordPress plugins that make affiliate marketing easy. 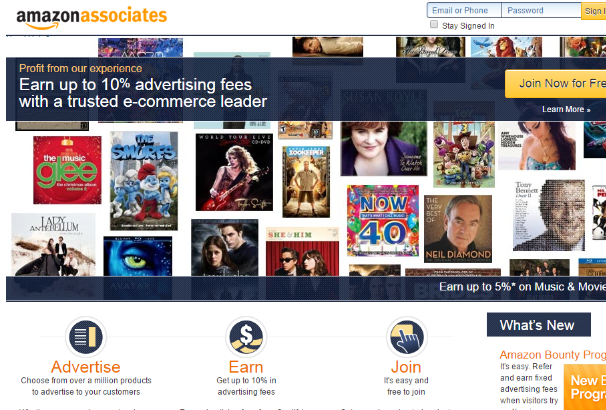 For example, Amazon Simple Affiliate makes it easy to integrate the Amazon affiliate network into your WordPress site. Another way to bring in money is to sell banner ads. Banner ads are still an incredibly popular way for brands to advertise, so they’re always in demand. They’re a nice option because, unlike affiliate marketing or AdSense, they’re guaranteed money. If you sell a banner ad for $100 per month, you can always know that you’ll have $100 per month coming in (as long as the banner spot is sold). Note, this also means that you can never earn more than $100. It’s just a good stable option. You can sell banner ads directly to advertisers if you want. This is a bit more work because you have to interact with clients, handle payments, and upload the ads yourself. But you also get to keep all the money. As long as you can keep the ad space sold, it’s a good option. There are also some great WordPress plugins like AdRotate that can help you manage advertisements. Another option is to turn to a banner selling service like BuySellAds. They’ll handle your ad space for you in return for a cut of the profits. You’ll also get access to a bigger network of buyers. In addition to banner ads, you can also consider selling simple text links. Advertisers are always interested in buying text links for traffic and SEO purposes. They’re nice to sell because they don’t annoy your users and take up very little space. But, make sure you don’t sell to spammy sites because you don’t want to negatively affect your own search engine rankings. You should also consider adding a nofollow tag to links you sell, though that eliminates the SEO benefits. Some advertisers are still interested in the traffic. Like with banner ads, you can sell directly by yourself or rely on some helpful third party services (that will take a cut). Text links are easy to add to widgets, footers, etc. So you should be able to easily add them to your site no matter what WordPress theme you’re using. Advertisers are always looking to sponsor posts. With sponsored posts, you write your post like normal but include a small message at the beginning or end of the post with some information about the sponsor. It’s fairly unobtrusive so it won’t annoy readers. But it’s also a great way to bring in money. 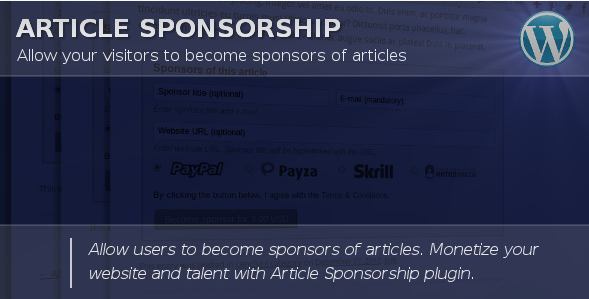 Again, you can you either seek out sponsors directly or use a service like Cooperatize. You can also make use of a WordPress plugin like Article Sponsorship to automatically insert sponsored content into your post. Instead of sponsored posts, you can also sell reviews. Note, I’m not talking about lying about a product in exchange for money. That’s unethical! I mean charging money to conduct an unbiased review of a company’s product. If a company is confident in their product, they should have no issue paying for an unbiased review. Some people give away reviews for free, but given how beneficial they are, lots of companies are willing to pay. Why do something for free when you can earn some money, instead? 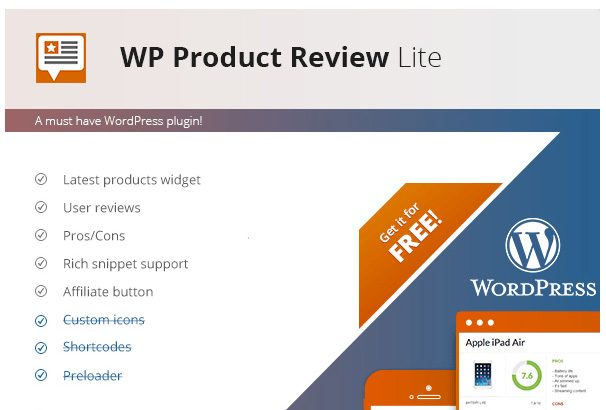 WP Product Review is a great plugin to help you easily do reviews and add star ratings. To find reviews, you can work with companies directly or use a third-party service like Sponsored Reviews. Just because you run a blog doesn’t mean you can’t also sell physical products. You can use something like WooCommerce to create a store section and sell branded t-shirts. Or sell art prints with funny sayings from your blog. Be creative! You can also create a digital product like an Ebook to sell. The Easy Digital Downloads plugin helps you easily sell digital products on your WordPress blog. Digital products are a great option because, after the startup costs, all the money you make is almost entirely profit. If products aren’t quite your thing, you could also leverage your blog to sell services. For example, if you’re a designer, you could create a blog about design and then use its popularity to drive people to your design services. This option is great for any type of freelancer or consultant. It’s something called inbound marketing – your blog has lots of useful content that draws readers in. Then they see your services and expertise and hire you as a result. Easy peasy! In recent years, some awesome plugins have made it very easy to monetize a WordPress blog with a membership site. With membership sites, you can ask users to pay to upgrade their account for unique content. Or, if your content is popular enough, you could even consider making them pay for access to your entire blog. Mark Manson, a popular blogger, locks his content after users read a certain number of articles. After that, users need to pay $5 to continue reading. Just make sure your content is worth paying for – otherwise, people will have no motivation to upgrade. We put together a list of the best WordPress membership site plugins. Browse through and pick the one that’s best for you. Building a newsletter or email list is a permanent asset which can be used to generate money. You can sell ads in your newsletter, use it to promote products, or include affiliate links. Even if your blog traffic drops in the future, you’ll always have a money-earning asset to keep bringing in revenue. It’s easy to start building an email list if you already have a blog. You can install a plugin like List Builder to start asking your readers to sign up. Services like MailChimp make it easy to send out newsletters. Then you can either create unique content for your newsletter or send a summary of your blog posts. This is kind of a nuclear option, as once you do it, the money ends. But, if you find yourself growing tired of your blog, you can always sell it and make a hefty chunk of cash. Lots of investors are looking to buy into websites these days, so if you have even a semi-popular site, people will be chomping to buy it. Investors are looking to buy into websites these days, so if you have even a semi-popular site, people will be chomping to buy it. You can try selling your site directly, but it’s often hard to find a big enough pool of buyers when you do it that way. 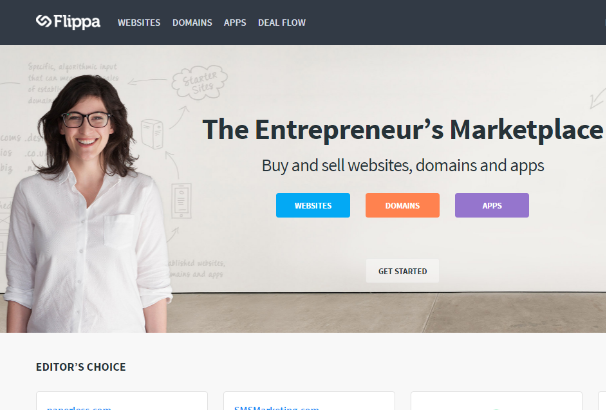 Instead, you might want to turn to a third-party marketplace like Flippa. While Flippa will charge a commission, you’ll also have access to a lot more interested buyers. So even though there’s a commission, you’ll probably still end up making more money. Stable sites typically sell for somewhere around 10-20x their monthly revenue, to give you an idea what you can expect for your site. I hope you enjoyed these 12 ways to make money from your WordPress blog. You can mix and match them to create a steady income stream for your blog. Even if each method only brings in a small amount of money, when put together, the money can start to really add up. Many WordPress plugins can also make monetization a heckuva lot easier. Third-party services are also good options, but remember that they will always take a small percentage for their help. Always make sure the benefit is worth the cost. That’s it – get out there and make some money! I hope you enjoyed these 12 ways to make money from your WordPress blog. enjoyed these 12 ways to make money from your WordPress blog. Unfortunately, the Google Publisher plugin is deprecated since 2017 and has been removed from the WordPress repository meanwhile. AdSense recommends using the free plugin Advanced Ads (https://wordpress.org/plugins/advanced-ads/) for this task now. If you are going to update this article at any time, you may consider this change. We are a group of professional licensed guides with years of experience in the travel industry. We are offering all types of tailor made tours of Iran.